GOVERNMENT yesterday claimed it has secured a guarantee from the Afreximbank to ring-fence the estimated $6 billion real time gross settlement (RTGS) bank balances in bank accounts, but critics rounded on the claim as "hot air" based on past experiences. Finance minister Mthuli Ncube, who is currently in Indonesia at the IMF/ World Bank meetings, without disclosing the details said the Africa Export and Import Bank (Afreximbank) would also provide a guarantee for nostro foreign currency accounts (FCAs) to help steady the economy. "Today in Bali, Indonesia at the IMF/ World Bank meetings, I had a fruitful discussion with the president of Afreximbank, Oramah. Afreximbank has offered Zimbabwe a facility to guarantee 1:1 convertibility of RTGS and availability of US dollar for Nostro FCAs," Ncube wrote on his Twitter handle yesterday. He said RTGS value would not be eroded and would be safeguarded. "Government recognised concerns surrounding RTGS deposits and we commit to preserve the value of these balances on the current rate of exchange of 1 to 1 in order to protect people's savings," Ncube said in a statement. President Emmerson Mnangagwa's office later released a similar statement. But opposition figures and economists said the government's pronouncements on currency were a hard sell. Economist Godfrey Kanyenze said the guarantees by Afreximbank meant nothing to the man on the street unless he or she can walk into the bank and walk out with US dollars after its previous guarantee of bond notes failed to hold their value. The bond note was yesterday trading at a premium of 300% on the black market. "Afreximbank does nothing to inspire confidence. They 'gave' us a $200 million facility to deal with the problems that continued to surround the bond notes and liquidity," Kanyenze said. "It did not resolve the liquidity crunch, so now if they say, 'well, there is a guarantee', nobody sees the guarantee. Everyone wants to get hold of the hard currency. It is only when we see the hard currency, that I can go into a bank, or an ATM [automated teller machine] and get my money. That's the confidence that people need." Kanyenze said the current crisis could only be resolved through dialogue and not Press statements in the face of closures by top brands including fast-foods outlet KFC, clothing retail outlet Edgars and major wholesalers, despite Ncube vowing government would not allow a repeat of 2008. 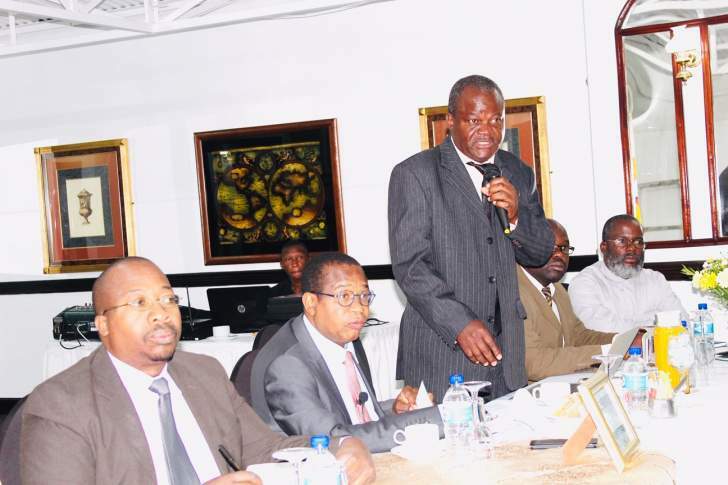 Remarks by Ncube came while the Confederation of Zimbabwe Industries was locked up in a crisis meeting with business as the market continued to refuse transactions in RTGS and bond notes. Former Finance minister Tendai Biti accused government of lying and manipulating figures to suit its agenda. "The broad money supply is in excess of $11 billion, cash and coins are probably around $8 billion. So the Afreximbank, who are worth $5 billion, cannot guarantee a debt of $8 billion and besides, that's not their job," Biti said. "The mandate of the African Export and Import Bank is to guarantee trade and those balances are not under trade. Its outside their mandate. "So Mthuli is not telling the truth and the bank does not have such a mandate and, secondly, it does not have necessary resources." Biti said ring-fencing of RTGS bank balances was a critical move which had to be done in a legal way, where its debated in Parliament and oversight exercised before any borrowing and debts are added on.